Though Apple Chief Executive Tim Cook stopped short of explicitly criticizing recently ousted executives Scott Forstall and John Browett, he did say that recent personnel changes were done to encourage "collaboration." The comments from Cook from from his extensive interview with Bloomberg published on Thursday. Though Cook did not name Forstall specifically, his comments support earlier reports that claimed Forstall was let go from Apple in part because he was not a team player. Cook told reporter Josh Tyrangiel that he has a strong belief that collaboration is "essential for innovation." It's also a core belief at Apple, and was something that company co-founder Steve Jobs also shared in. 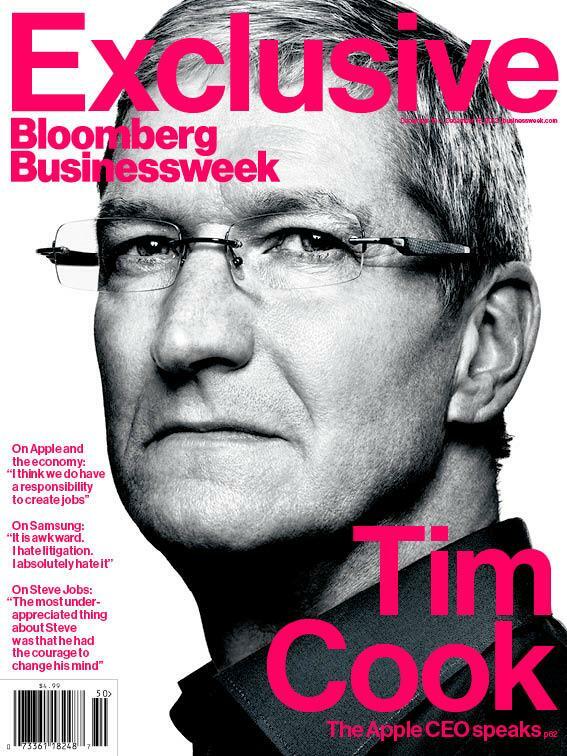 "You have to be A-plus at collaboration," Cook said. "And so the changes that we made get us to a whole new level of collaboration. We've got services all in one place, and the guy that's running that has incredible skills in services, has an incredible track record, and I'm confident will do fantastic things." The Apple CEO went on to praise lead designer Jony Ive, saying he has "the best taste of anyone in the world." In his new position, Ive will be responsible for the company's Human Interface division. Cook said the "face" of the iPhone and iPad is its software, and so it only makes sense for Ive, who designs the hardware, to also have a hand in the software that runs on these devices. "Jony has done a remarkable job leading our hardware design, so let's have Jony responsible for the software and the look and feel of the software," he said. "Not the underlying architecture and so forth, but the look and feel." Cook also praised Bob Mansfield, Apple's senior vice president of Technologies, as the finest engineering manager in the world and "in a class by himself." And Craig Federighi, Apple's senior vice president of Software Engineering was called "unbelievable." "These moves take collaboration to a whole different level," Cook said. "We already were  to use an industry phrase I don't like  best of breed. But it takes us to a whole new level." The ouster of Forstall and Browett, announced in October, represented a major change to Apple's top brass. While Browett's short-lived tenure as head of retail operations at Apple was filled with controversy, Forstall was a longtime member of Apple's team and was also close to the former CEO, Jobs.